When students become familiar with their iPads, let them dictate how they want to smash apps to create the final product. Book Creator was the very first app I introduced to my 4 and 5 year old students at the beginning of the year and I can confidently say that it is still one of their favorites. We have come a long way since then. Now that my students have the skills to independently use the digital tools on their iPads, I no longer need to dictate which apps they are to use or what processes they need to go through. Instead, the key focus is on the learning outcomes, and how they meet these outcomes is completely up to them. 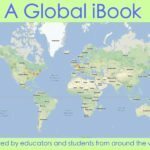 The students love voicing their opinions and quite often they choose Book Creator due to its ease of use and versatility. But as they are becoming more creative in their learning they have begun ‘App Smashing’ content together. For those who haven’t heard this term before, app smashing is when you create content in one app and then transfer it into a second or third app in order to enhance the final product. Here is an example of how it looks in my classroom. As part of our fiction unit, we had been learning how to effectively retell a story and we had just read one of our all time favorites – ‘The Hungry Caterpillar’ by Eric Carle. Together we wrote up the learning intention for the lesson and I asked the students how we could do this. They could add text for a heading. They could sequence their illustrations on each page. They could record their voices, retelling the main events. They could save it as a video or book. That was it, all students wanted to do this! It was time for some app smashing. We had used both apps many times so the students were ready to give this a go by themselves. The students opened Art Set and quickly started creating textured illustrations of the story. Most students created 5 main events from the text. Once finished, they used the export feature to save their pictures to the iPad Camera Roll. This meant that they could easily transfer the images into a second app. Students recreating pictures with the Art Set app. They opened up Book Creator and inserted an image onto each page of their book, ensuring that the events were sequenced in the correct order. Then they used my favorite feature for early years learners: voice recording. Students recorded themselves retelling each event in the story. They added a heading and then used the export as Movie or ePub feature to submit their work on Showbie for teacher assessment (an app used for assigning, submitting and assessing work). We watched them together on the Apple TV and gave peer feedback using our learning intention and success criteria from the beginning of the lesson. Use the camera roll to save and move content between apps. As long as you can save or screen shot something to your camera roll, you will be able to transfer it to Book Creator or any other creation-based app. Let students choose their own apps. Students are more engaged when they are doing something they actually want to do. Encourage students to select apps based on their features. The apps need to be able to match the learning outcomes. Start small. Before being able to app smash, students need to have a strong understanding of the apps they are using, their features and the possibilities. Creation, not consumption. App smashing is about being a creative and critical thinker. What creation based apps do you have that could work together? With the forever evolving features of Book Creator and the endless possibilities with app smashing, I can’t see my students or myself getting sick of using it anytime soon. We have been able to use it to hit all curriculum areas and will continue to do so. Students are currently drafting their own narrative stories and no doubt some of them will use Book Creator to publish and share their end products. And as for the lesson above, it was a good reminder that sometimes the best lesson planners are your students. Erin McNamara is a Prep teacher in Melbourne, Australia and has been teaching for three years. 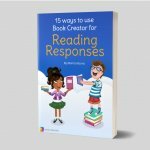 She’s a Book Creator Ambassador. Erin is passionate about integrating digital technologies into the curriculum and developing creative and passionate learners in her classroom.